ANZAC Polo Shirts are 100% breathable polyester mesh knit polo shirts. 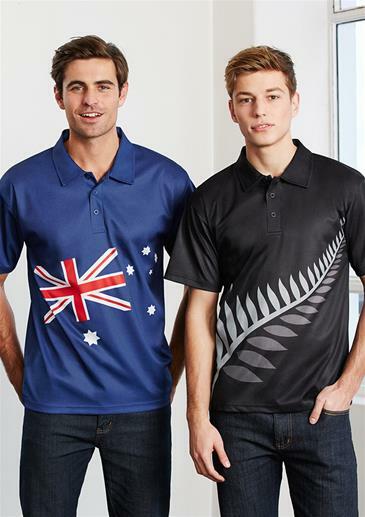 The Features a sublimated print with an Australian flag & New Zealand fern design. Personalise this shirt even more by adding your own logos and information to he existing design.